Motion Select: This Should Be Coachella's New Commercial! This Should Be Coachella's New Commercial! 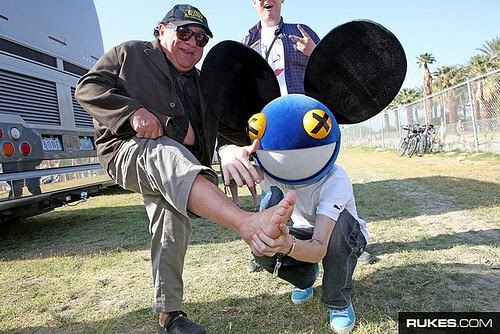 Danny DeVito rocking out to Deadmau5 at Coachella!!! What? Hell yeah. Danny DeVito throws his hands in the air to Deadmau5's song Ghosts N Stuff. Complete awesome!!! Unfortunately, TMZ is the only place that has they video and they don't let embedding. Bastards!